The traditional retrieval models based on term matching are not effective in collections of degraded documents (output of OCR or ASR systems for instance). 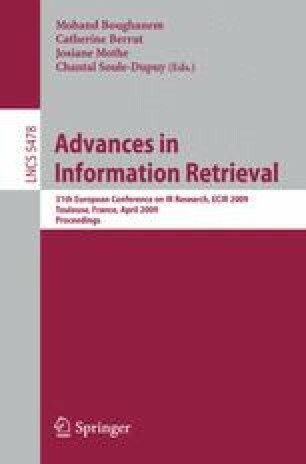 This paper presents a n-gram based distributed model for retrieval on degraded text large collections. Evaluation was carried out with both the TREC Confusion Track and Legal Track collections showing that the presented approach outperforms in terms of effectiveness the classical term centred approach and the most of the participant systems in the TREC Confusion Track.